Unless you’ve been sleeping under a rock, you would know the Invictus Games were held in Sydney recently. Patron Prince Harry and his wife Meghan Markle were Down Under to launch the Games, an international multi-sport event in which wounded, injured and sick members of the armed services compete. 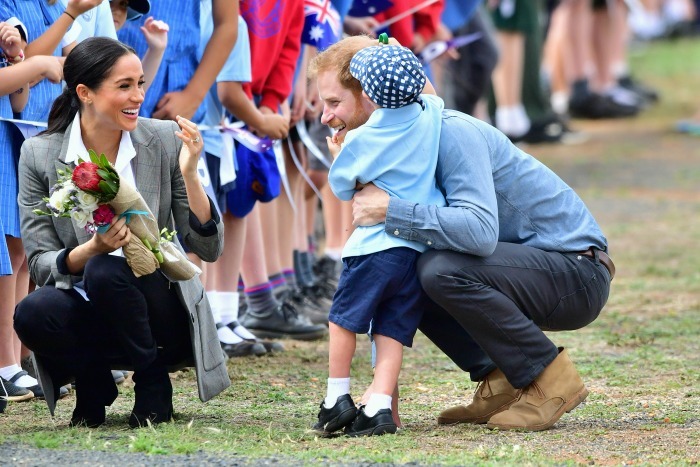 As part of their royal tour, Prince Harry and Meghan visited the town of Dubbo, where they were greeted by school children. Prince Harry knelt to greet a little boy who had been waiting enthusiastically. He so was fascinated by the Prince’s beard, he began stroking it and gave him a big hug. Prince Harry was delighted and thought it was funny. The boy’s teacher was surprised because the crowd had been strictly briefed beforehand to say there was to be no touching. However, when Harry and Meghan arrived, they couldn’t have been more hands on. The same little boy gave Meghan a hug and it was a beautiful thing to see. As leaders, when we’re in positions of authority and influence, it’s easy to forget we can appear intimidating. But in this case, the little boy wasn’t intimidated at all. He was fascinated by the royal couple and truly wanted to connect with them. A leader, by default, holds a position of authority and power. This often disconnects you from your audience and the people you lead. What happens is you build an imaginary wall between you and your customer or you and your team members. People hesitate to connect with you out of fear: fear they will lose their job, fear they’re not good enough, fear you won’t care, fear they might come across as silly or stupid. To overcome this barrier, leaders need to shift from intimidation to intimacy without losing credibility. When you remove intimidation, you increase connection. You’ll also be able to support people through change. Empathy is the bridge that allows you to do that. If you don’t make this shift, your level of influence will flounder and your ability to help people through change will take much longer. Change that does occur will happen from a place of fear or coercion. People will feel frustrated or that they’ve had to compromise to move through change. 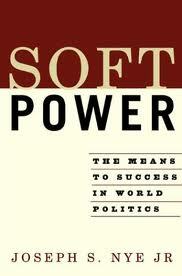 In the book Soft Power, author Joseph Nye explains that power is the ability to influence the behaviour of others to get the outcomes you want. You can achieve this by threatening others, paying them or trying to find a cooperative way to get people on board and do what you want. On the other hand, soft power is about creating engagement with people. It is the ability to obtain preferred outcomes by attraction rather than through coercion or payment. This concept arose from Nye’s work around world politics and military power. One of the greatest basketball players of all time, Kobe Bryant, said that “intimidation doesn’t exist if you’re in the right frame of mind.” If you can get into the right frame of mind, you’ll focus more on a higher purpose and outcome, whether it be for the individual or the organisation. When people are intimidated, they feel they can’t ask the “stupid” questions. They fear they’ll be judged, they’re not good enough and will be rejected by their leader or tribe. In fact, intimidation stunts and limits your growth as a leader. It stops you from playing big and it makes you play small. Last week, I went to see Sean D’Souza, author and award-winning copywriter at the We Are Podcast conference. 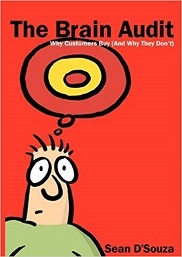 In his book, The Brain Audit: Why Customers Buy (And Why They Don’t), D’Souza explores the psychology of buying behaviours. He stresses the importance of using empathy to unpack the problems, fears and challenges people face. If you don’t have empathy, your customers can feel intimidated to the point that they will avoid dealing with you. Often, leaders put too much focus on the fact they are the authority and, therefore, believe they are the only source of truth. The problem with this mindset is it’s arrogant. When we can’t influence others, we come up against a wall. What we need to do is to break these walls so people can achieve their goals and we can support them through change. 1. Active listening. By asking questions, you get to meet people where they’re at. This reduces assumptions and unconscious bias. Harry and Meghan were highly present throughout their royal tour. They listened to the little boy when they were in Dubbo and connected with him quickly by kneeling on the ground and maintaining eye contact at his level. Often, we need to kneel a little more. We need to get to where people are, then support them and lift them. 2. Ask for feedback. Thinking you know everything will not shift someone’s behaviour. When you’re in a position of authority, one of the fastest ways you can grow is to ask for others’ opinions. Ask what you could be doing differently, what’s working well and what’s not working so well. Ask people what they need from you so you can adapt and flex based on their needs. 3. Have empathy. This is the ability to understand and share feelings with others. You don’t necessarily have to agree with them, you just need to try to understand them. Only once you’ve found a common ground can you find a way forward. Remember, empathy is the bridge that moves people from intimidation to intimacy. 4. Build rapport. This is not about manipulation. If you use manipulation as your approach, you’ll be seen as inauthentic. Rapport means you can connect and build mutual trust. By doing this, team members and customers will feel safe to share their challenges and problems with you without feeling threatened. 5. Get to know people more on a personal level. Try to learn more about people outside of the work they’re doing. Humanising them humanises you. You will be able to connect with them and gain more context about where they are coming from. Again, while you might not necessarily agree with their point of view, you will gain deeper insight and understanding so you can adapt your approach and support them through change. 6. Set the environment for conversations. Sit beside the person you’re having a conversation with rather than opposite them. This a simple yet highly effective way of reducing the intimidation factor. People will feel less threatened and be more open to sharing things with you. For example, when I work with doctors who are trying to have difficult conversations with patients, I get them to sit beside the patient. They may even put their hand on their arm or use appropriate touch to help comfort them when they’re experiencing something difficult. 7. Share stories. This is a powerful way to reduce intimidation. I don’t mean only sharing stories about your successes – you also need to share stories about your failures. I recently went to see a mentor of mine speak where he shared experiences of things that didn’t go well for him. I left feeling inspired and realised that while this person was amazing and almost superhuman, at the deepest level, he was somebody just like me. This realisation allowed me to say what I needed to say without feeling stupid or silly. It created a safe space between us because the challenges he has faced are the challenges I face now, and I can see he understands where I’m coming from. 8. Think of leading as a service. It’s important to have a service mindset when you’re in a position of authority and power. Simply having a title automatically puts you in a position of authority and influence. But although you already have that title, your behaviour needs to flip to the opposite of power, which is service. Ultimately, you’re there to serve, support and help identify what’s holding people back. The responsibility of a leader is to guide people through change and the only way you can do that is by having a mindset of helping and supporting them. 9. Be mindful of the groups you hang out with. One of the things people find intimidating is being on the outer. People have a primal need to feel part of a tribe and a strong sense of belonging. When you’re in a position of authority and influence and only hang out with people in positions of power, it sends the message that no one else belongs in your group. If you want to reduce intimidation, spend time with people in other circles. I love this picture of Barack Obama connecting with the janitor. It sends a very clear message that he’s real and approachable. 10. Get out more. If you’re within an organisation, you need to get out. You need to be seen having conversations with different people across all levels. If you’re only seen in your office talking to the executive team or if you’re an expert in your field and only seen hanging out with the cool people, others will struggle to connect with you. They may not feel worthy enough to talk to you. So, be visible. Go out there and talk to people. Lead by walking around. When you show you can connect with the average person, you’ll be far more approachable. You’ll also learn a lot more and be able to show empathy to lead people through change. If you can tap into the 10 strategies above, you will reduce the intimidation and increase meaningful connections with your audience. I would love to hear your thoughts and ideas. 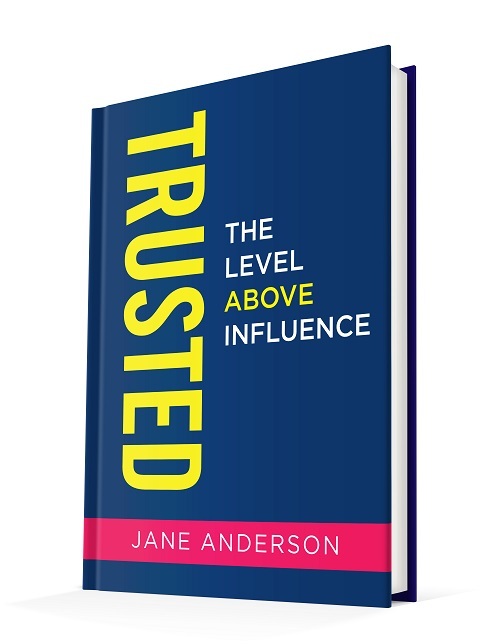 Jane Anderson is a communication expert, speaker and the author of 6 books including the upcoming “TRUST: The Level Above Influence.” With over 20 years experience helping people step into their personal power, she is obsessed about creating human connection to drive business growth in a world of disruption and automation. To inquire about her working with you or your organisation please contact us here.